Food and beer belong together! That’s why we’re excited to announce that our new location at 1320 South Monroe will have both, in the same location! Introducing Proper, a whole new concept located in the onsite kitchen at 1320 South Monroe. Featuring elevated pub fare, Proper will offer unique menu items like K-Town Hot Chicken, Hazed + Confused Mushrooms, and Bratstickers. The menu will include suggested beer pairings with carefully selected Proof draft beers. We’re excited to introduce beer dinners to our event calendar in the coming year with menus crafted by the talented chefs at Proper. 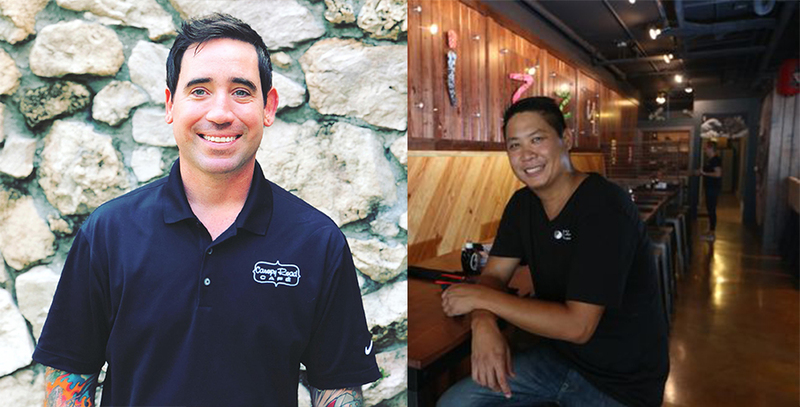 Proper’s concept was created by Owner Brad Buckenheimer of Canopy Road Cafe and Merv’s and Executive Chef Viet Vu of Izzy's, Arepana, and Mobi Food Truck. "This project was purely based out of passion and love for Proof. Viet and I have been friends of the Proof family for a while, with Viet serving as their main Biergarten chef for the past couple of years. When the time came to move, Viet asked me to be a partner, and it was a no brainer. To be able to partner with such innovative and special people was an honor and a privilege, and we are so excited to bring something new to the community with our friends,” says Buckenheimer. Proper will open at the grand opening of Proof Brewing’s new location on South Monroe. It will service Proof’s patrons and will be open on the weekdays for dinner plus lunch on the weekends with brunch on Sundays. Proper will also be available for catered private events and dinners in our new event space. The event space offers guests a stunning atmosphere to host engagement, holiday, retirement, and birthday parties as well as corporate meetings and events, with views into the Proof brewery and access to a private beer garden. Proof Brewing Co’s new location at 1320 South Monroe will open in late January to the public. We look forward to welcoming the community into the tasting room and giving tours of the new facility. Thank you, Tallahassee, for your support! Be sure to follow and like Proper on social media! Facebook, and Instagram (@properbrewpub).